When you see the picture, you ignore the frame. When the picture is taken out of the picture, you see the bigger picture. 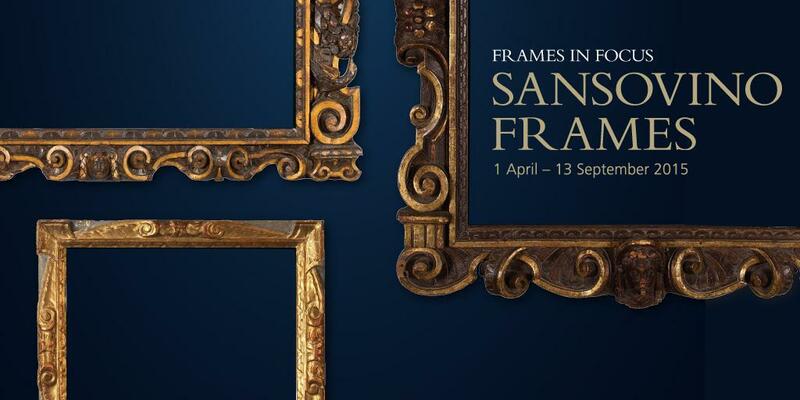 The National Gallery's exhibition of picture frames from the Venetian empire may make you think that the establishment gallery has gone postmodern, but it gives you a context that no other exhibition on Renaissance art has given recently. When you look at the exhibition at first glance, you think someone needs to call the police, by as you look closer, you see the work that went into the frame, how the figures were carved and the guilding against the varnished wood. While the picture frame seems mundane, you realise that the top may look like a proscenium arch of a theatre. It frames the story a painter tells in pigments. Go to any theatre and you could see where it comes from. When you take a closer look, you realise there are motifs and symbols from classical antiquity, yet the scrolling suggests the parchment the craftsmen sketched his work on. The female figures with exposed breasts juxtaposed against religious works shows the sacred and profane were a common juxtaposition even then, only more subtle. In fact, when in mahogany, or other dark wood, you can see how it suggests an African woman from some obscure tribe. The lighter coloured wood suggests a more European looking, less exotic person. That said, I suspect these would be used when darker colours predominate in a painting. You could even argue that this reflects Venice's greatness as a trading power in the Mediterranean at this time. Cultural influences were being traded along with silks and spices. Two of them even look quite current to contemporary eyes, because their less ornate work has scrolling, but no lavish ornamentation, which suggest ancient Egypt or Art Deco. The elegant and simple lines of this one suggest an evolution in the framer's craft and would show how taste varied amongst the people commissioning the painting. You can even see it in action when you look at the Music Lesson, which shows a child being taught to sing, while an older girl looks whistfully perched on her students shoulder. This example shows that a picture is only understandable with in its cultural context. This may be how the picture is framed by the wood or how the wood is shaped by the social, political and economic circumstances through the hands of the sculptor.